Daniel Blumer and Navi Cohen, founders of Revols, have reached and surpassed great milestones since we first met them in 2014. What started off as an idea to develop premium quick custom-fit wireless earphones is now approaching reality with shipping scheduled for early 2017. Earlier this year, in just two months their Kickstarter campaign raised $2.5 million (U.S.), breaking records and becoming Canada’s most funded project in Kickstarter history. 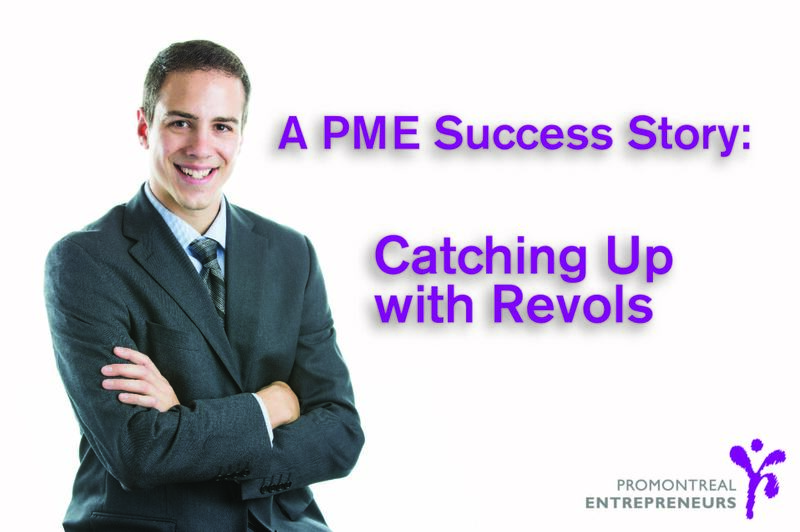 We had the chance to catch up with the Revols CEO, Daniel Blumer, to talk about it his journey and what lies ahead for the company. He offers some interesting insight and some lessons learnt in retrospect. Q: What helped you identify a gap in the market for your product when you founded your company with Navi? A: Navi approached me with the idea of custom fit earphones and the whole concept was that custom fit provides this comfort level that is just so much better than a regular pair of earphones. That immediately struck a chord with me because myself, my wife, so many people, struggle with their earphones and are not comfortable. To me, that was the immediate compelling reason as to why we should go into this. Further justification came through doing the due diligence, doing the market research, seeing why people replace their earphones and why they buy premium earphones. Q: You’ve had tremendous success with your Kickstarter campaign. It was the most funded Canadian project in Kickstarter history! Given that so many crowdfunding campaigns fail, what was your secret? A: We spent around 3 months doing diligence, and learning about Kickstarter. We understood it. Some people think that you can just create a video and put it on Kickstarter. There is so much more to it. One of the biggest challenges which we saw right away was credibility. It’s not easy to be credible and show that what you are offering isn’t BS or a lie. You want to show that what you have is real, that it works, and that it can be trusted. For us one of the biggest things we did to succeed is that we hired a local PR firm and before the campaign started we went out to every single media outlet that would talk to us in Toronto, Montreal, New York, Philadelphia, San Francisco, and did the process on them. They then wrote reviews on us. If they liked us they would write good reviews which would then translate to trust and credibility and more people would back it. There was a direct correlation between when the media would release their review and how much we would receive on the Kickstarter. Q: This success, while great, must come with tones of pressure. How do you feel about this? A: More pressure than I’ve ever had in my life because to me the part that I hate the most is being in debt to someone else. I don’t have debt I don’t want to have debt. When you think about it you’re happy and so excited about the success of your Kickstarter and having all this money to make your product. But I’m so anxious to just deliver to all our backers. We have 12,000 people that supported us. A lot of them are Montrealers, friends, family, and people that have an interest in helping another Montreal company. Until we deliver there’s this pit in my stomach. Q: What stage of development are you at presently? A: We’re planning on delivering in November and December. We’re getting there. Q: You are a Montreal-based company, what is it like having a hardware company here? A: Hardware is not easy to build here. The first year and a half we were only in Montreal. It was difficult in terms of cost, and in terms of the time it took to make all product versions. Something that has helped us tremendously is our relationship with the hardware accelerator, Hax. We moved to China last summer for 4 months and now we have people on the ground in China overseeing production. Now we can iterate faster at a lower cost in China which is a great advantage. Q: What are some pros of being a Montreal-based company? A: Montreal’s start-up community is growing a lot. You see it. You see it by the events and by the different companies coming out of Montreal. It’s impressive. There are many advantages of being in Montreal. Tax credit-wise, when you’re creating a company with a lot of R&D requirements, the Canadian and Quebec government are phenomenal at helping fund projects. You don’t get that in the States. Q: Now that Revols is doing well and growing, in retrospect, can you think of lessons learnt or things you wish you would have done differently? A: To me, one of the biggest learnings is with something we’ve experienced over the past few months when trying to do everything in house. We wanted to have control over all our projects. Looking back, it’s okay to outsource to a third party who’s more competent in a particular project. It would have costed more but it would have saved us months. It would have been worth it, so that’s what we’re starting to do now. If it’s not your core competency it is okay to outsource to a certain extent as long as you have a certain level of control. Q: How has PME helped you in your journey? A: PME has genuinely helped us because they came in relatively at the beginning when we didn’t have a lot of money. There are 2 components to PME. There’s the money itself. The money allows us to develop and grow without having to look elsewhere. Our valuation at the beginning was smaller and we would have had to give up a lot more of the company then. So, that money was sufficient in allowing us to go to the point where we now have a nicer valuation, we’re going to get more money and give up less equity. That is because of what PME helped us with. On the other side which is equally, if not more important, is the mentorship side. The ability to have access to mentors who are tremendously experienced in different fields and the comfort in knowing you can go to them is phenomenal. A lot of people don’t have that opportunity. Q: 10 years from now where do you see Revols? A: 10 years from now Revols will be a recognized brand name in the premium retail space, but not just selling earphones. Selling many different ear-related products with a custom fit solution. Revols has come a long way in the past 2 years. We can’t wait to see what is in store for Daniel and Navi moving forward! 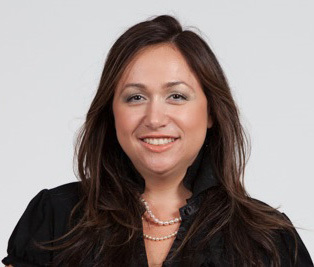 This entry was posted in Best Practices, Co-Founder, Inspiration, Montreal Ecosystem, Start-ups, Trends, Youth Entrepreneurship by Katherine Korakakis. Bookmark the permalink.